Sri Kala Sudha in its life span of 20 years has gloriously conducted mega events suiting the tastes of the telgu connoisseur of performing arts. In its sojourn, Sri Kala Sudha is stepping into its 21st year. On this occasion, Sri Kala Sudha propases to celebrate the birth anniversary of Jagatguru and Gitachaarya Lord Sri Krishna. 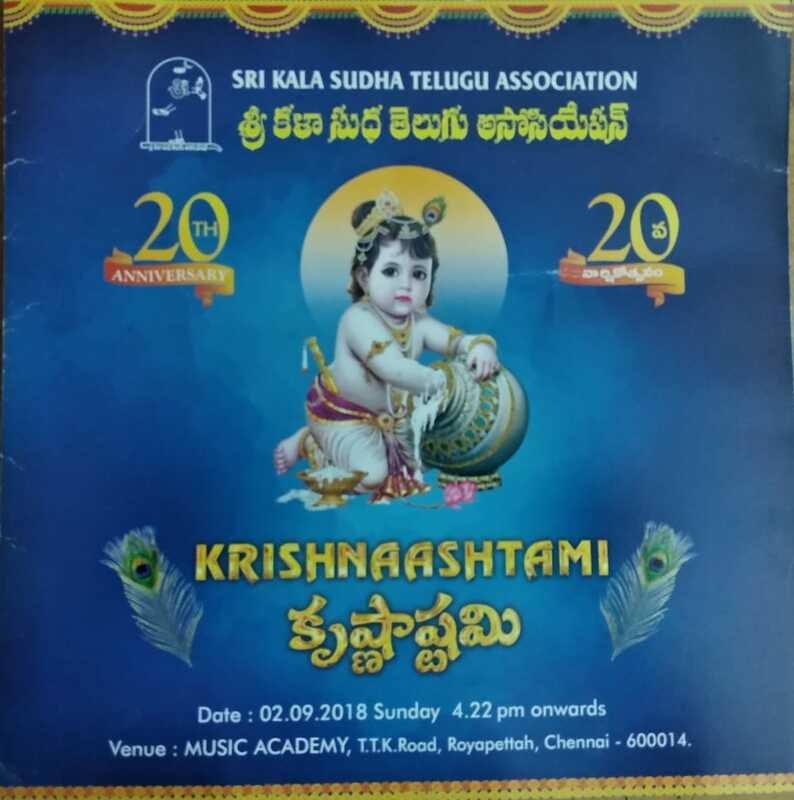 On the Janmashtami day, symbolising the Gita Upadesha, Sri Kala Sudha is readying to confer "GuruSri Puraskar" award Sri Kala Sudha is happy to invite you all for the function.